Lake Norman Roofing Pros offers thorough, professional, and reliable roof repair services in the Huntersville, North Carolina community and surrounding areas. Our roof repair and maintenance services go together to ensure best upkeep practices for your roof. Replacing damaged shingles and fixing leaks serve to extend the lifespan of your roof and stave off more costly repair projects. If you have a larger repair needs, we do that as well at extremely competitive rates. Whether its inspection, maintenance, small repairs, or large repairs you need for your roof, Lake Norman Roofing Pros offers unmatched professionalism, expertise, efficiency, and affordability. The benefits of hiring a professional for your roof repair needs are immense. If you need to undertake minor or significant roof repairs, we at Lake Norman Roofing Pros would never suggest doing it yourself. The first benefit to hiring us, the professionals, is of course safety. 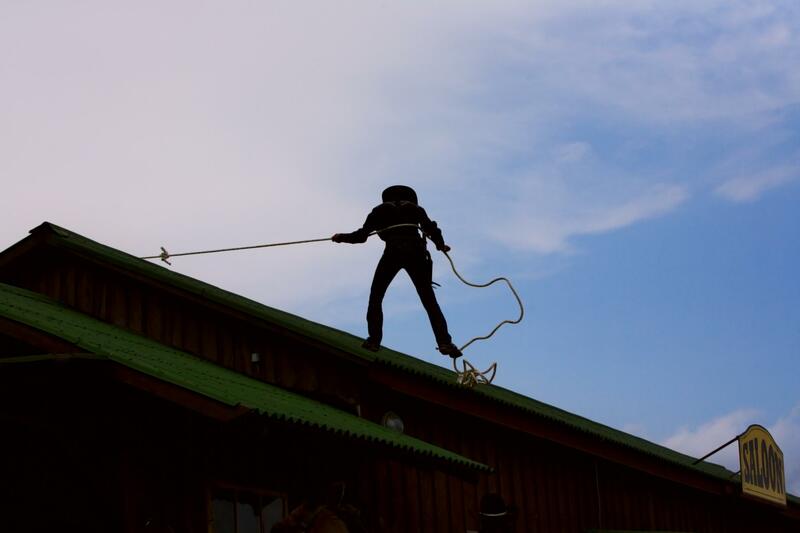 While roof repair accidents are fairly common, our team is trained in safety precautions and always carries professional safety equipment. It's not only safer to go with the professionals, but also more cost effective, as we've got all the tools and supplies already and will give you better long term results. Professionals like us at Lake Norman Roofing Pros also offer warranty options that you can't get from a do-it-yourself job. Count on us at Lake Norman Roofing Pros for all your roof repair needs. Professional roof repair may be needed for many reasons aside from the conventional roof leak. Our team of professionals at Lake Norman Roofing Pros is ready to handle any roof repair task. These problems include damaged or poorly installed flashing, which is your roof's heavy rubber or metal first line of defense. Gutter build up is also a common problem that, if left unfixed, threatens the integrity of your entire roof. Gutter cleaning should be carried out at least once per year. Ruined shingles cause leaks and other problems for your roof's integrity. Damaged soffits can invite wild animals to take refuge inside them. Finally, moisture can serious and far reaching effects. Let the professionals at Lake Norman Roofing Pros handle all of these problems that require specialized care and knowledge. Before starting with any repair process, our team of roofing professionals offer our customers full-service roof inspections to get to the bottom of any roofing problems they may have. Our professionals are trained to look beyond isolated cracks or holes and observe potential structural issues or other substantial problems that may not be immediately apparent. Our roof inspection services come before repairs to ensure that any fixes are done with the purpose in mind of restoring the health of your entire roof and not just a crack or two. Given our many years of professional experience, you can count on us at Lake Norman Roofing Pros for thorough roof inspection services prior to investing money in repairs. Roof emergencies happen and being properly prepared for them is part of being a homeowner. Lake Norman Roofing Pros is here to offer you peace of mind in that regard. In the event you need emergency roof repairs, our representatives are available around the clock to take your calls. Roof emergencies require the immediate attention of professionals to prevent further damage to your roof or the rest of your home. Our emergency services include the provision of temporary protective measures ahead of permanent repair efforts. We also help you to deal with your insurance company.